Happiness comes from transcending sadness, not by suppressing it! A young lady came to us saying she wanted to know how she can break free from feeling sad. She and her husband had been living separately for years now. Her business had folded up. The money she had borrowed from her brother for the business remained outstanding. But he had been generous enough to write off the dues. “In a way, everything that caused my sadness, my broken marriage, my failed business and my inability to pay off my loans, has been around me, with me, for a long time. Yet, I am unable to get rid of the sadness within me. What must I do,” she asked. Good question. This lady, in my opinion, is lucky. At least she knows a. that she is sad and b. what is making her sad. Many a time, people just wallow in sadness. They don’t know it and can’t express their feeling clearly. Even so, sadness, grief is not something unnatural. Sorrow is a very natural, real human feeling. Someone dies. You lose something. You are misunderstood. You break up in a relationship. You suffer a crippling health setback. Each of these situations can apply to any of us – at any time. And when something like that happens, chances are that you will be grief-stricken. You will wish your Life was different. This wishing will make you feel miserable and cause all your suffering. You will go down a depressive spiral and will continue to remain stuck in that cesspool of grief for a long, long time. Eventually, you will not even know what you are sad about. Sadness would have become embedded in your subconscious. The way to haul yourself up in a situation like this is to focus on whatever gives you joy. It can be music, art, watching a movie or being alone with nature. Whatever makes you forget that you are sad, in a natural manner, do it. Drinking or smoking do not fall in this category because they are artificial and you impose them on you. Look for an immersive experience – where you can lose yourself, without count of time or without thinking about your grief! Important, sadness and happiness are the same energy – expressed differently. Look around you. There are so many happy people. Why are you not happy in their midst? The reason is that when you look at them, you feel you can never be like them. You have conditioned yourself to thinking that way. Break free from that conditioning, from that pattern of thinking. The truth is, if you can be sad, you can be happy too! Not by replacing the factors that have caused your sadness. But by accepting the fact that you have reasons to be sad, and that, despite those reasons, you can chose to be happy doing what gives you joy! Sorrow and suffering must not be resisted. Or controlled. Or repressed. They must be transcended. You can go past those feelings if you are aware. 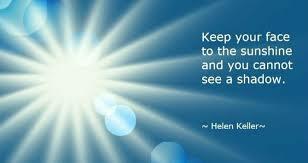 Awareness will always lead you to happiness! 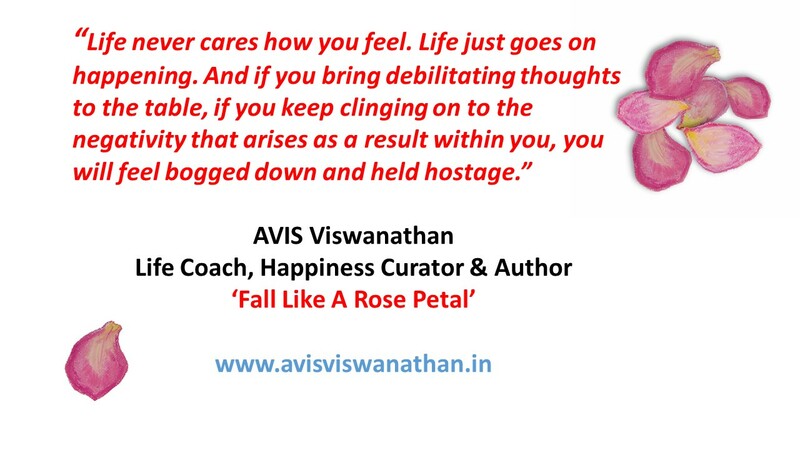 Author AVIS ViswanathanPosted on October 26, 2016 Categories Grief, Happiness, Inner Peace, Sadness, Sorrow, Suffering, UncategorizedTags Art of Living, AVIS Viswanathan, Awareness, Fall Like A Rose Petal, Grief, Happiness, Happiness Curator, Inner Peace, Intelligent Living, Life Coach, Sadness, Sorrow, SufferingLeave a comment on Happiness comes from transcending sadness, not by suppressing it! When Life’s problems seem insurmountable, take each day as it comes, but keep at your problems without thinking of the outcomes. There will be times when nothing will seem to go your way. Situations at work will be unproductive – stressful, political and complex. Your relationship could be heading nowhere – often leaving you lonely and lost. The money may just not be enough. And any efforts you make to fix things, to find solutions, to make the situation better, may only end up confounding matters. The normal response to such a situation is anger, frustration and depression. When these emotions arise, observe them. Hold them and give them your attention. Ask yourself if feeling angry, frustrated or depressed is of any use in a situation when you don’t like what you are getting in Life. When you realize the futility of anger, frustration and depression, you will immediately want to let them go. Running away from Life or feeling sad continuously for what has happened or feeling guilty for what you may have contributed to what has happened – none of these serve any purpose. In fact, Life never cares how you feel. Life just goes on happening. And if you bring debilitating thoughts to the table, if you keep clinging on to the negativity that arises as a result within you, you will feel bogged down and held hostage. What is a problem situation at the end of the day? Any situation that you dislike is a problem situation. Plain and simple. If what you dislike must go away – one of two things must happen. Either you must work on driving it away. Or you must walk away from it. You can’t forever be lamenting that you dislike a situation. That’s escapism. Of course, in any situation, you can act, you can take remedial steps. So, act. 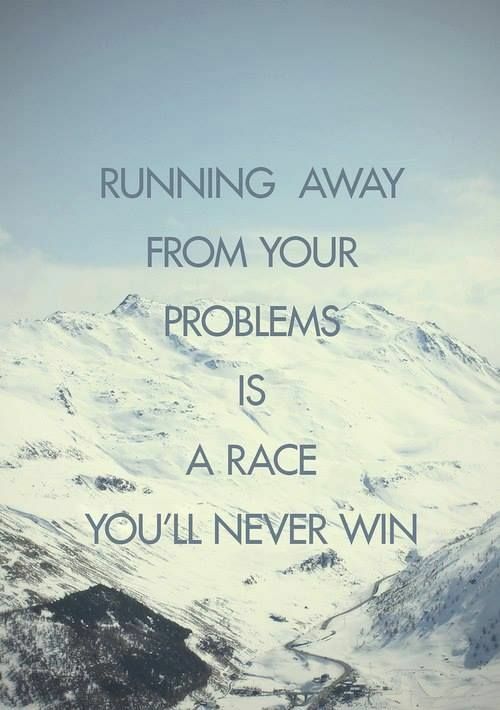 Don’t worry about the results. Simply act. An action may lead you to a result. And you may like or dislike that result. Then act again if you must change that result. That’s how it works. Inaction on account of depression, anger, guilt, grief or worry is sacrilege. For anything about a current reality to change, you have to change something within you first. Which is, you must be ready and willing to go to work on your problem regardless of circumstance, outcome, reward or recognition. Just keep chipping away. When the going gets tough again, when you face rejection, failure and hit another no-go place, you may well face another bout of depression and frustration. Hold your depression again and examine its futility. Then let it all go. And you go back to work, to chipping away at your problem. One day, one day surely, what you are chipping away at will give way. And that day, when you connect the dots backward, you will be grateful for the choice you made – to have gone to work on your problem than sit and bemoan it! “Is it too late now to say ‘Sorry’?” No. Never! A friend posed this question: Is the English word ‘sorry’ adequate to repair a relationship or heal a wounded heart – especially when you have caused the hurt, and want to repent, redeem and rebuild? The simple answer is that as long as you feel sorry, genuinely sorry, and the feeling is arising from within your inner core, it doesn’t really matter what language you use. Language is just a medium of expression. It is the feelingthat matters the most. And feeling sorryrequires you to be brutally honest with yourself: you must drop all analysis, justification and judgment. When you have realized that you messed up, just own the accountability for what has happened and apologize. Period. But willingness to apologize is often accompanied by two more, often debilitating, emotions: grief over what happened; and guilt over how you have contributed to what has happened. I have learnt that anyone genuinely repenting a mistake often gets caught between grief and guilt. You begin to ask yourself the same question that my friend has posed – is saying ‘sorry’ adequate? This is when you should refuse to hold on to the grief and guilt for too long. Yet don’t resist the grief or the guilt – it will then persist. Instead, examine your grief and guilt. See the futility of holding on to them. Forgive yourself for your indiscretion or transgression or misdemeanor and move on. Chances are you will be forgiven by the party that you hurt. Chances are you may not or never be forgiven. Remember – you can never control another person’s thoughts or actions. Whatever be the other party’s stand, be clear that you must forgive yourself – only this can restore your inner peace. I have talked about my experiences with feeling genuinely sorry, and overcoming grief and guilt, in several contexts, in my Book “Fall Like A Rose Petal” (Westland, 2014). One incident that I haven’t shared so far, however, pertains to a conversation that I once had, many years ago, with my dad in the lobby of Hotel Connemara in Chennai. I have for long had a poor chemistry with my mother. On one occasion, the acrimony between my mother and I was really suffocating. I wanted to somehow try and force her to see reason and consider my point of view. So, I decided to talk to my dad in private, hoping to involve him in communicating with my mother on my behalf. We met at the hotel lobby and sat there for over an hour. I first shared what I wanted to. My dad did not say anything. He was just silent. I implored him, then I tried cajoling him, then I threatened him – demanding that he commit to telling my mother to “change her ways”. But my dad was deadpan. He continued to remain silent. In that entire hour, only I spoke – pleadingly, menacingly, softly, loudly. He never uttered a word. When I realized that this approach was not working out, in utter frustration, I blamed my dad by way of wrapping up the monologue and by way of a summary: “Appa, you are a vegetable (I used a stronger, stinging word by way of an aphorism but will not quote it here); if you had put Amma in her place long ago, there would have been peace and we would not have such a fractious environment in the family.” My words must have stung and I am sure my dad was hurt. But he said nothing. He just wiped his eyes, smiled at me, got up and walked away. Years later, perhaps on account of the spiritual awakening that I have had, I realized that the only way for me to handle the relationship I (don’t) have with my mother is to be both silent and distant. I concluded that she just cannot change; or see reason; at least in matters concerning me! When this realization dawned on me, I could not help but agree with my dad’s approach of employing stoic silence. I felt ashamed, angry, guilty and grief-stricken for the way in which I had hurt my dad. The hurt lingered on in me for a long time – until one day, I apologized to him in person. Again he said nothing. He just smiled back. ‘Sorry’ may seem like one word but involves a lot of hard work. This is what must be fundamentally understood: Do you genuinely feel the apology that you want to offer? Are you willing to first face and then let go of the grief and guilt that may arrive with your saying sorry? Can you accept a situation where you can live with lack of clarity on whether you have been forgiven or not? 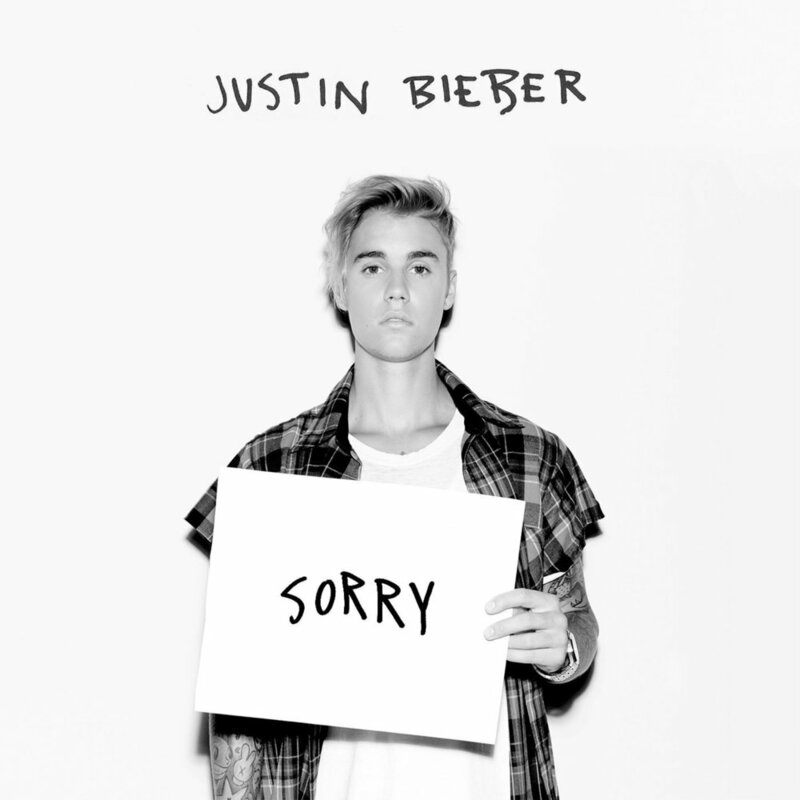 And unlike what Canadian singer Justin Bieber wonders in his recent chart-topping single ‘Sorry’, it is never too late to say a sorry. If you feel it, simply say it. And, no matter what follows, just forget about it! Author AVIS ViswanathanPosted on January 10, 2016 March 14, 2016 Categories Apologize, Fall Like A Rose Petal, Grief, Guilt, Happiness, http://schemas.google.com/blogger/2008/kind#post, Inner Peace, Intelligent Living, Justin Bieber, Purpose, Sorry, Westland BooksLeave a comment on “Is it too late now to say ‘Sorry’?” No. Never! No matter how messed up your Life is, suicide is not the answer!!! When did you ever ask to be born? Your lifetime is a gift. How can you then decide to end a Life that you has been ‘given’ to you? I saw a note from a young reader this morning saying she read my post of two days ago – “Are you ‘sad sad’ or are you ‘happy sad’?”She confessed that she was just out of ICU after attempting suicide for a second time. She felt no one “really shared her sadness or was willing to understand why she was depressed”. Her note indicated that she was learning to cope with her reality: that she was perhaps having to deal with her Life, herself! Indeed. Each of us is messed up in one way or the other. And we all have to deal with our quota of problems – some call it “s*%t” – by ourselves. Often times, Life may well be lonely. But sorry, I am not one who will ever support suicide as an idea – whatever may be the circumstances that drive anyone to that point. Here’s what we need to understand. This lifetime of ours is a gift. None of us asked to be born. Life has been given, gifted, to us. For heaven’s sake, consider the miracle here. Isn’t it a miracle that you have been created as the human who gets the H1N1 (swine) flu and not as the swine that gives the flu? Even the swine did not ask to be born. Life has been given, gifted, to the swine as well. For all that the creator – if there is indeed one – cares, you may well have been created as a swine! So, know that, if you have been created as a human being, there must be a reason for it. And that reason is certainly not to feel depressed and to take your own Life! A principal reason for depression is that your Life is not going the way you want it to. Simple. This reason may manifest itself in myriad ways but the basic concept is of not getting what you want. But hey, hold on a sec, will you? When did Life promise you anything? When was any guarantee given that your Life is going to play out this way or that way? Life does not promise anything. There are no guarantees in Life. Every product you buy comes with a user’s manual and a warranty. You – and I – are the only products, us humans, who come without any user manual to guide us or any guarantee that can assure us of a Life that we want. What this essentially means is that the best way to live Life is take it as it comes, to live with what is and to have no expectations from Life. The moment you expect Life to be this way or that way, and when it doesn’t go your way, you feel depressed. So, who is causing your depression, you – or Life? Besides, how intelligent is it to feel depressed over something that was never in your control? Also, let’s not expect people to understand us either. It’s better to assume that no one will. And then when you find someone who understands you, well, won’t that relationship be worth celebrating? Your sadness is your own. Your happiness is your own. Don’t agonize over friends who don’t want to share either with you – the brutal reality is that such people were never your friends! You have made the mistake of calling mere acquaintances your friends, and you brood over their behavior? How intelligent is that? One of the best features that Facebook offers is when you add a friend, it asks you to categorize that relationship – is this a ‘close friend’, ‘an acquaintance’ or should this person be added to ‘another list’? I do this diligently for all my friends – even offline, off Facebook. And I would recommend you do it to. Let me tell you, it works! Life has to be faced no matter what the circumstances. My wife and I have been enduring a bankruptcy for years now. For many spells over the last 8 years we have gone penniless. I have been called a cheat by my own mother and have been ‘disowned’ by my own family. As I write this, Vaani and I are not sure where our material Life is going – honestly there is so much debt to be repaid and no effort to reboot the business has kicked in place, the way we want it to. Yet, we are sure, that this Life must be lived, till it naturally ends, it is own inscrutable way, just as it all began! This is our story. But look around you – in your family, in your circle of influence, among your neighbors and colleagues – everyone’s got a personal story of pain, grief, guilt, sorrow and of facing Life stoically. If they can look their Life in the eye and live it, all of us too can! I not going to tell this young reader – or anyone – that everything shall pass, that things will get better, that there will be dawn at the end of every dark night. I believe anyone attempting to take one’s Life is smart enough to know that all this is both true and fluff at the same time. Fluff because Life takes time to change. And it is people’s intrinsic impatience with Life, and a lack of understanding of what Life is, that drives them to suicide. But from experience I can tell this for sure: it is in enduring Life patiently that you evolve, you grow and you come to a point where you believe, like we do, that if you have been created you will be cared for, provided for, looked after – and loved! That you may not always get what you want, but you will always, always, be given what you need! Author AVIS ViswanathanPosted on December 18, 2015 March 14, 2016 Categories facebook, Grief, H1N1, Happiness, http://schemas.google.com/blogger/2008/kind#post, Inner Peace, Intelligent Living, Live Don't Exist, Sadness, Sorrow, Suicide, Swine Flu1 Comment on No matter how messed up your Life is, suicide is not the answer!!! Stay stoic. Be happy with what is! 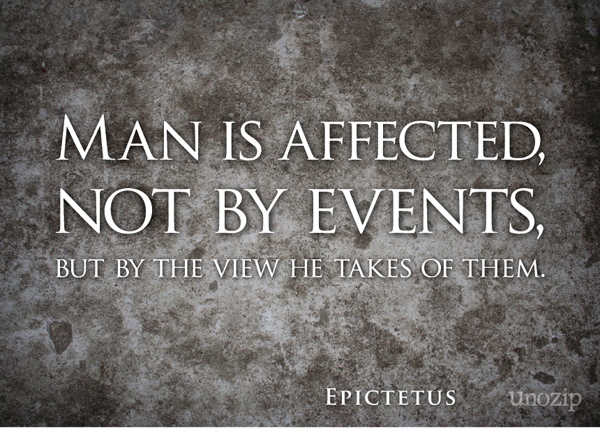 The best way to lead Life is to be stoic. This is what both history and the scriptures have been teaching us all along. Zeno, a pre-Socratic Greek philosopher, who lived around the 3rd Century BC, championed the belief that God determined everything for the best and holding on to that view was a virtue sufficient for happiness. Zeno’s followers were called Stoics – some of the more popular followers were Seneca and Epictetus. The Roman philosophers who followed advocated the calm acceptance of all occurrences as the unavoidable result of divine will or of natural order. The second chapter of the Bhagavad Gita ends with the highest state of consciousness a human being can attain. Krishna, replying to Arjuna, says (presenting here only the relevant extract): “…He lives in wisdom, who sees himself in all and all in him, Whose love for the Lord of Love has consumed every selfish desire and sense-craving tormenting the heart. Not agitated by grief, nor hanker after pleasure he lives free from lust and fear and anger. Fettered no more by selfish attachments he is not elated by good fortune nor depressed by bad. Such is the seer….” The key operative part is to be “not elated by good fortune nor depressed by bad”. Mahatma Gandhi meditated on this verse for 50 years every morning and night and devoted all his Life to translating it into his daily action. This was the key to his self-transformation. In our lifetimes, we are seeing stoicism all around us as people deal with catastrophic calamities – like MH 370 or the Nepal quake. We also see people deal with their private tragedies stoically – a health challenge, a relationship issue, the passing of a dear one. There is immense pain for those who are caught in these Life situations. Yet we don’t see them beating their chests and wailing. They see no point in grieving and suffering endlessly. Instead, we see them, almost prayerful, moving on with their work, seemingly unaffected by the pain and grief. This is the highest spiritual quality individuals can acquire. In learning from them, we can find a better way to deal with our own, smaller, calamities. Stay stoic. Stay anchored. Be happy with what is! 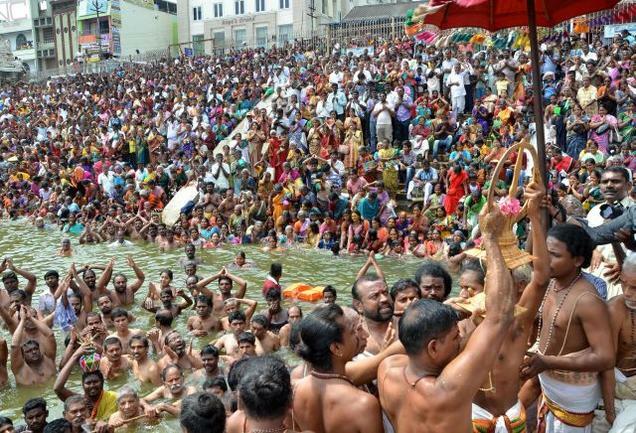 Author AVIS ViswanathanPosted on August 13, 2015 March 14, 2016 Categories Acceptance, Art of Living, Epictetus, Grief, Happiness, http://schemas.google.com/blogger/2008/kind#post, Inner Peace, Intelligent Living, MH 370, Nepal Quake, Seneca, Socrates, Suffering, ZenoLeave a comment on Stay stoic. Be happy with what is!